The large and long-lived tree of euphorbia species grows on top of the hill where the Monkey temple is located. Many tourists want to perpetuate themselves by leaving the inscriptions on leaves of this tree. They take different sharp objects and write their messages. 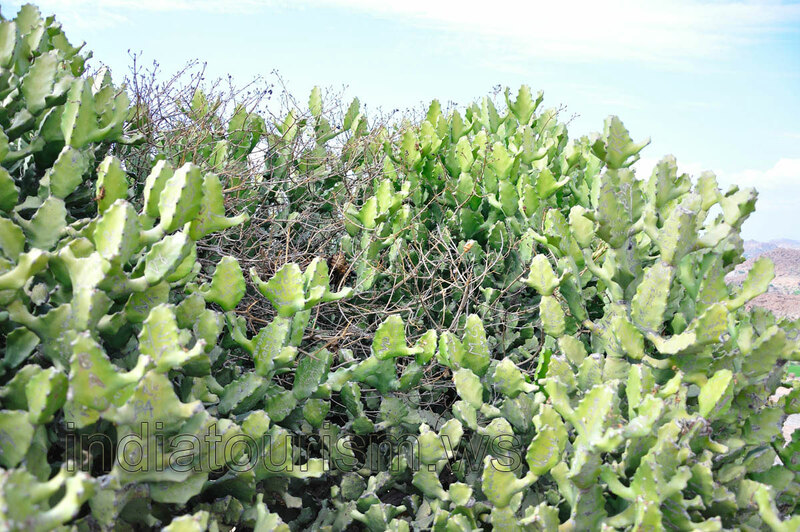 Unfortunately, I believe that this euphorbia tree will not live long and happy because its leaves are severely damaged.